A humorous, but often sharp, look back on growing up on Long Island, in the turbulent 60s, amidst the Vietnam War, race riots, and all the other social upheaval that made that era unique. Follow the author on a serendipitous trip from childhood to joining the USAF during a shooting war. You'll learn a few things you didn't know -- but mainly, you'll be laughing at the stars of the book, the people he met. They wrote the tale. 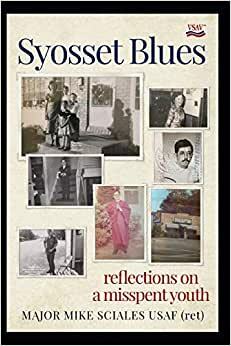 Start reading Syosset Blues: reflections on a misspent youth on your Kindle in under a minute.